Marines can be a mean and feisty bunch, both in a good and bad way. One of their mottos is “no better friend, no worse enemy.” They also like to have fun at the expense of other sister services. Just ask the Army, and these Air Force JROTC (AFJROTC) cadets. 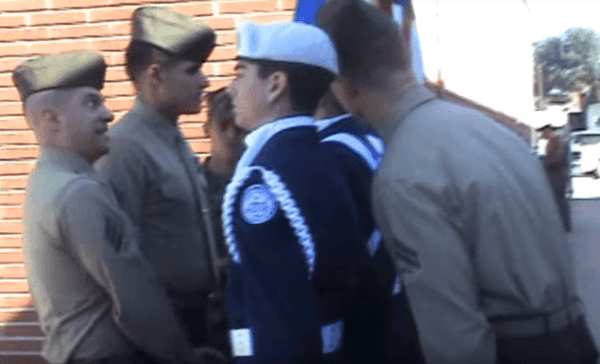 Three Marines decided to poke fun at these three Air Force JROTC Cadets while at a drill competition. Their fun entailed ordering the cadets around, despite only being sergeants and a corporal themselves. It’s not clear who put them up to this, but the camera operator was standing by to film (and laugh). The Marines first took the cadets’ guns to inspect them. First, they quizzed the cadets on the serial numbers of the guns, then they identified rust and oil inside the barrels and called them out on it. 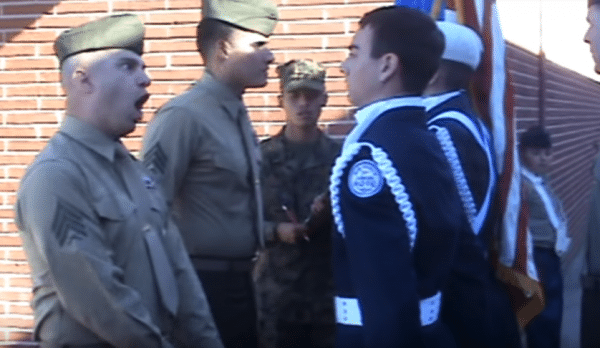 The Marine corporal pushed his role even further, leaning into the cadets’ ears and shouting commands that reinforced the other Marines. The cadets continued unknowingly obeying commands, even when it was nonsense. The video even shows some people standing around watching the ordeal, but if they knew what was really going on, they didn’t step in and make it known. 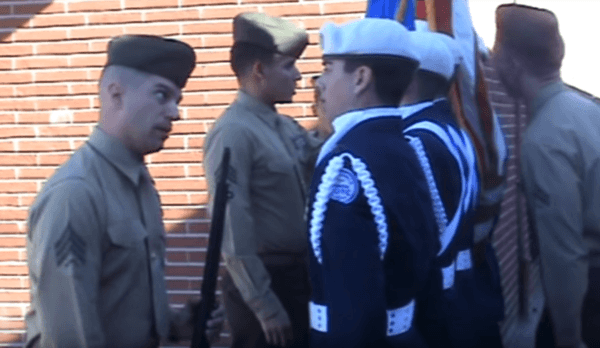 Despite all the shenanigans, the cadets remained obedient and in formation until the end, even issuing a “Good day, sir,” as the Marine walked away. There’s a lot of debate about this video, which has amassed 5 million views since it was posted. Some say the Marines were cruel, others say it’s hilarious and that the cadets haven’t seen anything yet. These cadets managed to stay calm throughout their ordeal, although they were visibly shaken. While this was just a joke for the camera, it conveys how service members are trained to acquire the discipline and nerves in any situation. Military Jeep Drag Racing...In Australia? !